The activities of two criminal groups engaged in human trafficking were halted by the efforts of victims’ parents with the help of human and civil rights activists in Ukraine. So far, they have not been able to help the men, lured to Russia with the promise of lucrative work and now held in Russian prisons, where they are serving sentences of up to 20 years. Their only chance of release is to agree to serve in the armed groups of the so-called Donetsk People’s Republic and Luhansk People’s Republic. Some 1,850 to 5,000 young Ukrainian men convicted of drug trafficking under article 228 of the Russian Criminal Code, are detained in Russian penal colonies. Most are presumed not to be drug traffickers, but victims of human trafficking, recruited under the guise of legitimate work in Russia. According to victims’ relatives, once in the Russian penal colonies they receive proposals for “cooperation”: they are offered freedom in exchange for one year of service in the “armies” of the self-proclaimed states of the Donetsk People’s Republic and Luhansk People’s Republic. Public knowledge about a scheme involving the active recruitment of Ukrainians became possible due to the efforts and activities of victims’ relatives. When Katerina Onoprienko1Witness statement of Katerina Onoprienko, the mother of a victim of human trafficking, video in Ukrainian https://www.youtube.com/watch?v=ZT1mzyVQRWw , mother of one of the trafficked men, went to the Ukrainian police in February 2016 she learned that the mother of another young man, who had fallen into a similar situation, had given police a statement, and set out to find her. Together the women began their own investigation as law enforcement agencies refused to open a criminal case because the abductions had taken place outside of Ukraine. In early 2015, colourful ads inviting men aged 20 to 35 to apply for high-paying jobs in Russia had appeared in many Ukrainian cities. Specifics of the work were not mentioned, but the ads stated that since there were no jobs to be had in Ukraine, it was possible to go to Russia to work there as couriers. Housing would be provided, the salaries were decent, and the company covered all travel expenses. Evgeny Onoprienko did not tell his family where he was going. He told them only that he had found a job and was leaving to work. From that moment, communication with him was broken. “After my son came to Kaluga and realised that he needed to transport drugs, he was immediately arrested. However, before that he was threatened with murder, in case he does not do his work,” says his mother, Katerina Onoprienko. He was arrested and convicted under Article 228 of the Criminal Code of the Russian Federation for the distribution of drugs. Relatives of other victims tell almost the same story about how their sons were recruited. Couriers are recruited when men responding by phone to the ads are asked to meet a recruiter at an office on Kiev. The recruiters’ offices were located in different shopping centres. There the passport of the potential employee is photographed and his personal data recorded. The employee is given an envelope with money to Moscow. He would also receive a mobile phone for operational communication. The “courier” was informed that upon arrival in Moscow the company representatives would meet him and tell him what to do next. However, no new “worker” actually met anyone in Russia. He would only receive a call on his new mobile phone. The “courier” was told where to go and where to rent a room for the night. After that, he was told where to find the “goods”, and where to transport and to leave them. As soon as the man understood that it was an issue of drugs, and informed his relatives about the intention to flee and return to Ukraine, he was detained by Russian police. Under Article 228 of the Criminal Code of the Russian Federation, the court would give a sentence from 5 to 20 years of imprisonment to such men. According to Katerina Onoprienko, the leader of the parents’ initiative group, the young man can do such “work” for a long time, as long as he remains silent about what he is doing, obediently follows instructions, and transports and leaves the goods in the designated places. At each step of the “courier” is tracked. “Some of our children did not even have time to really ‘work. They were detained by the Russian police in a few minutes after they told the family by phone that they were going to flee,” Ms Onoprienko says. These men, without their knowledge, became victims of human trafficking. Trafficking in human beings is a modern form of slavery, which is a rather complex and confusing mechanism2Modern Forms of Slavery, Office of the United Nations High Commissioner for Human Rights, Voluntary Trust Fund on Contemporary Forms of Slavery, http://www.un.org/en/rights/slavery/trust_fund/slavery_forms.shtml. At the initial stages of recruitment, the victim often does not even suspect what is involved. In the drug business, human trafficking remains under the control of large criminal organisations3“Human Trafficking in the Russian Federation: Review and Analysis of the Current Situation on the Problem”, Study by EV Tyuryukanova, PhD, Institute for Urban Economics A group of UN agencies and the International Organization for Migration (IOM) on trafficking in persons Moscow, 2006, p. 28, http://www.un.org/ru/rights/trafficking/human_trafficking_russia.pdf. However, most of the trade is carried out in small groups that “specialise” in a certain area – for example: advertising, recruitment, transportation to the country of destination. This is a very profitable business, because you need only a small start-up capital, and the income is high. According to the International Labour Organisation4Forced Labour, Modern Slavery and Human Trafficking, International Labour Organisation, http://www.ilo.org/global/topics/forced-labour/lang–en/index.htm, there are about one million illegal immigrants in Russia, who became victims of forced labour, a form of trafficking in human beings. The International Organisation for Migration in Ukraine (IOM)5«Україна як країна призначення для торгівлі людьми. Матеріали для практичного використання працівниками прикордонної служби, правоохоронних органів та суддями», Міжнародна організація з міграції. Представництво в Україні, 2012, http://iom.org.ua/ua/ukrayina-yak-krayina-pryznachennya-dlya-torgivli-lyudmy notes an increase in the number of Ukrainian men becoming victims of human trafficking in the Russian Federation6«Горбунова: до 70 % потерпілих від торгівлі людьми українців — це повернені з РФ», Громадське Радіо, 19.10.2016, https://hromadskeradio.org/programs/kyiv-donbas/do-70-poterpilyh-vid-torgivli-lyudmy-ukrayinciv-poverneni-z-rf-gorbunova. Initially, the activist mothers walked the streets and the Kiev subway. They wrote messages, scrawling “Drugs!” on the ads in order to warn potential victims. After some time, they received support from human rights activists. During a working meeting at the Ministry of Internal Affairs of Ukraine, Katerina Onoprienko met Ukrainian human rights activist and coordinator of the Media Initiative for Human Rights, Maria Tomak. Another participant of the initiative group appealed to the Ukrainian Helsinki Human Rights Union (UGSPL). Human rights defenders, and lawyers of the Ukrainian Helsinki Human Rights Union7“Обережно – торгiвля людьми!”, Українська Гельсінська спілка з прав человека, 07.10.2016, https://helsinki.org.ua/events/oberezhno-torhivlya-lyudmy/ launched an information campaign. Together with the Media Initiative for Human Rights, they held a press conference 7 October 20168“Обережно – торгiвля людьми!” Укрінформ, https://www.ukrinform.ua/rubric-presshall/2095878-oberezno-torgivla-ludmi.html. During the conference, they publicised the problem and urged the Ukrainian authorities to start an immediate investigation. The reaction was quick. Relatives of victims from all over Ukraine asked for help. After the start of the campaign, relatives began to seek counsel from lawyers and human rights defenders of the Kyiv Centre for legal assistance to the UGPSL. All appeals were registered by the Centre for Strategic Affairs of a human rights organisation9Centre for Strategic Information of the Ukrainian Helsinki Human Rights Union, https://helsinki.org.ua/articles/tsentr-stratehichnyh-sprav-ukrajinskoji-helsinskoji-spilky-z-prav-lyudyny/ . “After the press conference, more than 200 mothers, whose sons had become victims of this scheme, reached out to me,” says Katerina Onoprienko. The case was widely publicised, and at the end of 2016, thanks to the efforts of human rights defenders and relatives of the victims, the Department of the National Police of Ukraine for the Combat of Human Trafficking launched an investigation. The police asked human rights activists and journalists to give them a month to investigate and during this time to “keep quiet” in order not to frighten offenders. At the end of 2016, the organisers of the recruitment campaign were found and detained in Ukraine. According to the investigation, the two groups that posted ads about “work” are LLC “Expedition” (in Dnipro) and LLC “Home delivery” (in Kiev). Now three detainees are in jail and one remains under house arrest. Police have not yet reported details of the investigation, referring to the privacy of the process. Despite organisers of the recruitment in Ukraine having been arrested, their victims remain detained in the Russian penal colonies. According to Inna Koval, a lawyer at the Centre for Strategic Affairs of the Ukrainian Helsinki Human Rights Union, Ukrainian human rights activists have negotiated with Russian lawyers, asking them to take those cases. But the Russian lawyers say that in this situation any action is almost impossible. Inna Koval does not name the lawyers. “The prosecutor’s office and the courts of the Russian Federation do not pay attention to the fact that people worked forcibly. In almost all cases, ‘employers’ threatened their ‘employees’ or their families (they would find a home address from the photo of the passport). They have also told the ‘workers’ to return the money already spent on expenses, travel and housing for him,” she says. There is practically no cooperation between Ukraine and Russia at state level or among human rights structures, but it is quite possible at the level of personal contacts. One of the mothers of the victims, Vera, in search of her son turned to her Russian friend. With the help of a police officer, a personal acquaintance, she found the young man in a penal colony in Russia. The woman applied to all official organisations in Ukraine and wrote to the Russian president Vladimir Putin, but received no response. It seems that the recruitment in Ukraine is only part of the huge drug-trafficking machine operating in Russia. Is it possible to help the victims? 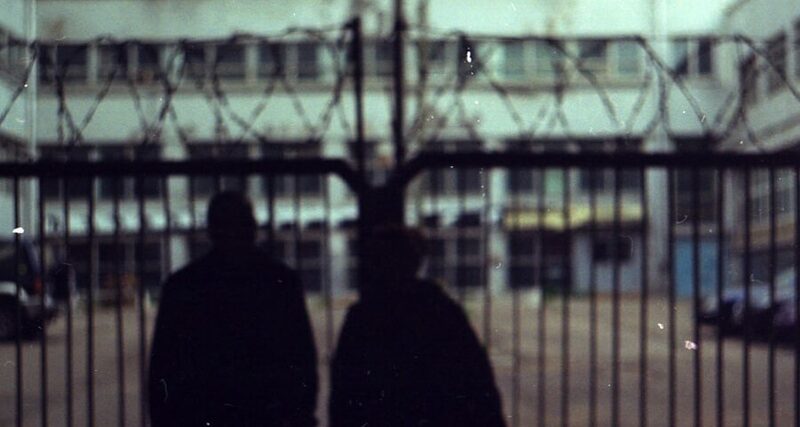 Human rights activists try to initiate the process of transferring convicted Ukrainians from Russian penal colonies to Ukraine, as well as recognising them as victims of human trafficking. The difficulty is that the Ukrainian police are not authorised to conduct investigations on the territory of another state. According to Ukrainian human rights activists, cooperation with Russian counterparts might be possible within the framework of international legal assistance. “The essence of this mechanism is that at the request of the Ukrainian side, Russian investigative authorities conduct a survey and collect evidence of Ukrainian convicts and then transmit the results to Ukraine,” says Inna Koval, of the Centre for Strategic Affairs of the Ukrainian Helsinki Human Rights Union. The procedure for the implementation of this scheme is not simple in practice. To trigger the process, the National Police of Ukraine must apply to the regional prosecutor’s office. From there the document is sent to the General Prosecutor’s Office. The Prosecutor General in turn sends an inquiry to the Ministry of Foreign Affairs of Ukraine. The Ministry communicates with the Russian Ministry of Foreign Affairs, which transfers the petition to Russian law enforcement agencies. At this stage, another problem arises. Even with recognition of these people as victims, it is difficult to rehabilitate them in Ukraine. Everything depends on imperfect international legislation, which does not provide a solution in such cases. According to the United Nations Convention against Transnational Organised Crime12UN Convention Against Transnational Organised Crime, http://www.un.org/en/documents/decl_conv/conventions/orgcrime.shtml, one country may request from another country the extradition of its convicted citizen with the purpose of serving their punishment in the homeland. However, this international document does not provide for rehabilitation. Thus, in order to request the extradition of its citizens, Ukraine must first recognise them as criminals, not victims, as human rights activists believe. The second complication is that if the Ukrainian side, after receiving its citizens from Russia, begins to rehabilitate them and release them, then Russia can accuse Ukraine of non-compliance with the Convention and suspend the extradition process. It becomes a vicious circle, where solutions are not yet available for Ukrainian human rights activists. Despite detained members of the group of recruiters in Ukraine awaiting trial, Ukrainian human rights activists insist on continuing the investigation. “It is necessary to stop this scheme in Ukraine, since we have only partial information. It is still unclear whether such ads were the only source of recruitment. There is information that recruitment was carried out in other ways. In addition, there is reason to believe that this scheme would be impossible without some ‘protection’ on the part of representatives of the Ukrainian government. The state’s participation in such actions indicates a violation of human rights,” said human rights activist Maria Tomak.